The shape and decoration that exists on the Skeleton King Flame Sword brings to mind the image of a dark, skeletal overlord clad in sundered armour, sitting on a throne made of dark metal as he waits for his time to attack the living. 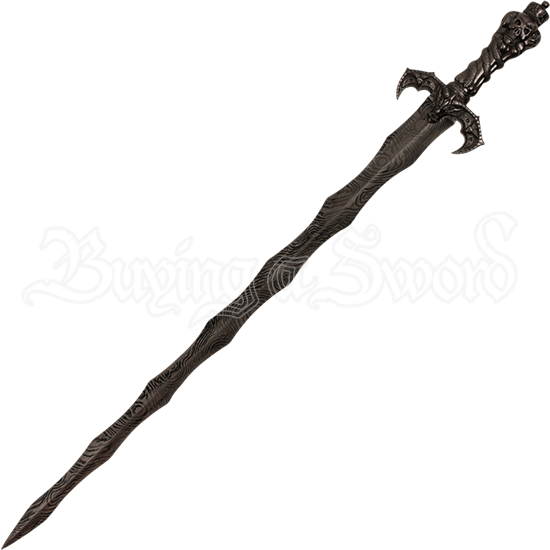 The hilt of this dark longsword is made from cast metal and bears skeletal and demonic imagery. The crossguard is crafted to take the shape of a long-horned demon and two bats. The handle has been crafted to appear as though a snake were wrapped around a stack of bones, and the pommel is shaped like multiple skulls facing in different directions with a crown on their heads. The stainless-steel blade of the sword bears a ripple design, much like Damascus steel, and displays a wavy shape similar to a Kris style blade. 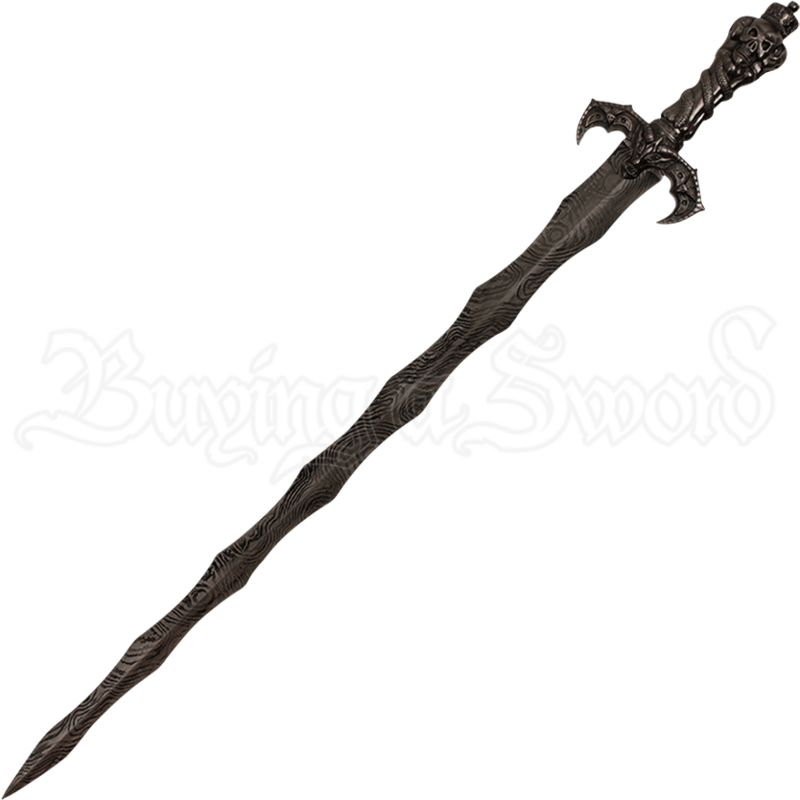 This dark fantasy longsword will bring a macabre touch to any room you desire to place it in and makes a great gift for both blade enthusiasts and collectors!